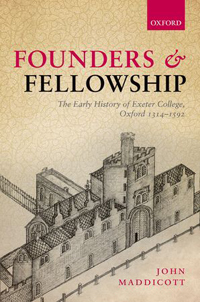 This book is the product of a group of historians, working together since 2011, to pull together an in-depth picture of European universities from 1200 to 1700, placing early modern universities in continuity or contrast with medieval universities. The mission is somewhat analogous to the "Typologie des sources du Moyen Âge occidental" series inasmuch as it concentrates on the sources and secondary literature on select topics, but does so in one volume rather than a series of volumes. 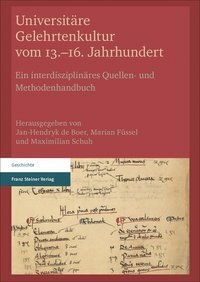 The book is divided into three major sections: administration (Verwaltung), teaching and learning (Lehren und Lernen), and how universities were reflected or represented in material objects and in other ways (Repräsentation). Each of these sections has an introductory essay, in most cases jointly authored. Under each of these sections are a series of articles (Basisartikel) that cover the sources, types of documents, and literature on subunits and subtopics, each with an extensive bibliography of sources and scholarly literature. 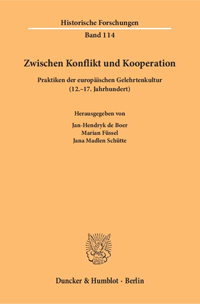 The opening essay in the first section on administration is by Martin Kinzinger, Frank Rexroth, and Jana Madlen Schütte. 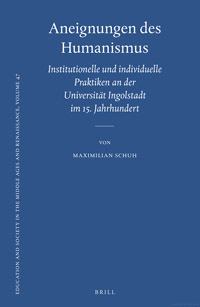 The individual articles are by Schütte on official acts of faculties, the rector, or senate; Antonia Landois on letters and correspondence among the learned; Martin Wagendorfer on lists of books and library catalogues; Thomas Woelki and Tobias Daniels on consilia or statements of learned opinion; Antonia Landois on finances and administration of endowments; Maximilian Schuh on matriculation lists; Jana Schütte on records of the nations; Frank Rexroth on scholarly privileges; Bruno Boute and Tobias Daniels on rolls of supplications to the papacy; and Martin Kintzinger on statutes. The opening essay in the second section on teaching and study is by Jan-Hendryk der Boer, Martin Kinzinger, Jana Schütte, and Thomas Woelki. Their essay covers master-pupil relationships, differences in types of schools, forms of teaching (lectures, disputations, sermons, written products), and various disciplines (arts, medicine, law, and theology). The following articles are by de Boer on public and private disputations, disputed questions, including principial disputations and quodlibetal questions; Maximilian Schuh on professorial and student lecture notes and study notes, glosses and manuscript production, but not reportationes; Jan-Hendryk de Boer on commentaries and glosses; Sita Steckel on theological textbooks, both Lombard's Sentences and the Bible; Marcel Bubert and Jan-Hendryk de Boer on study guides; and de Boer on censures and condemnations. 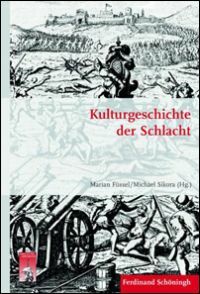 The third section on forms of self-representation has an introductory essay by Marian Füssel, followed with essays by Wolfgang Eric Wagner on daily life; Marian Füssel and Stefanie Rüther on pictures; Wolfgang Eric Wagner on buildings and a second essay on grave stones and grave monuments; Marian Füssel on insignia, crests, and seals; Susana Zapke on music; Hannah Skoda on literary texts; Frank Rexroth on contemporary writings on university history; Sita Steckel on university sermons; and Albert Schirrmeister on university speeches. The bibliographies for each of these essays are extensive and enormously informative. They are, however, with a few exceptions, composed almost entirely of German scholarship along with some British and American contributions. Even granting that the book is aimed at a German audience, it should have included more of the work of French historians, many of whom are leaders in this field, at least for medieval universities. In the first bibliography under Verwaltung, several of Jacques Verger's articles in Lexikon des Mittelalters and Geschichte der Universität in Europa (München, 1993), which is a German translation of A History of the University in Europe (1992) published by Cambridge Press, are listed, but of his many books and ground-breaking articles only Les gens de savoir en Europe à fin du Moyen Âge is included, although several of his other articles and his Les universités françaises au Moyen Âge are mentioned elsewhere in the volume. Other bibliographies do include work by Alain Boureau, Patrick Gilli, Claude Lafleur, Elsa Marmursztejn, Pierre Michaud-Quantin, and Charles Vulliez, but almost nothing by Nathalie Gorochov. Other important studies, research tools, and sources published in France are missing. For example, in the bibliography on book lists and catalogues one finds the contributions of M.-H. Julien de Pommerol, Jeanne Vieillard and the Bibliothèques de manuscrits médiévaux en France, but not Elisabeth Pellegrin's Bibliothèques Retrouvées. Manuscrits, Bibliothèques et Bibliophiles du Moyen Âge et de la Renaissance (Paris, 1988). Similarly, in the bibliography on the nations at universities, one does not find Les livres des procurateurs de la nation germanique de l'ancienne Université de Orléans, edited by Cornelia M. Ridderikhoff (Leiden, 1971-1988), Annie Talazac-Landaburu, La Nation de France au sein de l'Université de Paris d'après le livre de ses procureurs (Paris, 1975), or Mineo Tanaka, La nation anglo-allemande de l'Université de Paris à la fin du Moyen Âge (Paris, 1990). Sita Steckel's essay on university sermons, on the other hand, is exceptional in its coverage of French contributions as well as those in German and English. Even if the chosen audience is German, it would have been well to have provided a wider range of first-rate scholarly literature on each subject. Those comments or desiderata aside, Universitäre Gelehrtenkultur is an important and very useful contribution to the field of history of universities, not only for German scholars but for historians elsewhere in Europe and North America.